Timid Fingers: Congratulations on your book! How does it feel to hold your very first book physically in your hand? Saurbh Katyal: It feels good to see months of creativity finally manifest as a book. TF: When every second author is penning down a love story why have you chosen such a less traveled path of a detective novel? Saurbh: Haha…no, I am not the kind to write standard love stories. On a lighter note, if I write one, I may title it, “I too had many loves stories”. On a serious note, I believe that at the end of the novel both the reader and writer should gain in perspective. And this can only be done through the protagonist. So with this guiding principle, there is in fact a love story in the background of the plot- the resurgence of buried emotions of Vishal for his ex-flame Aditi who is married now, and how he deals with those emotions while he races against time to catch the murderer. TF: Any inspiration behind writing a detective novel because you have mentioned the name of Sherlock Holmes quite a few times in your book? 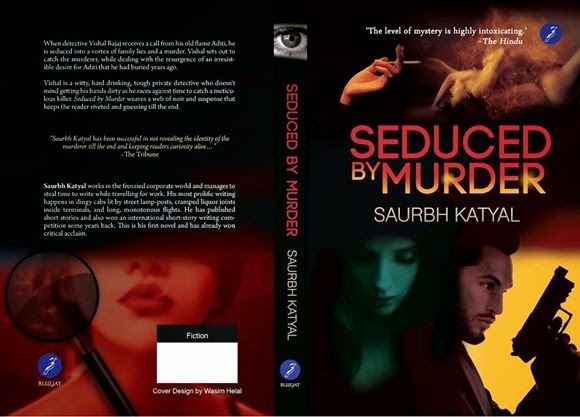 Saurbh: The inspiration to write a detective novel comes from a challenge I made to myself. 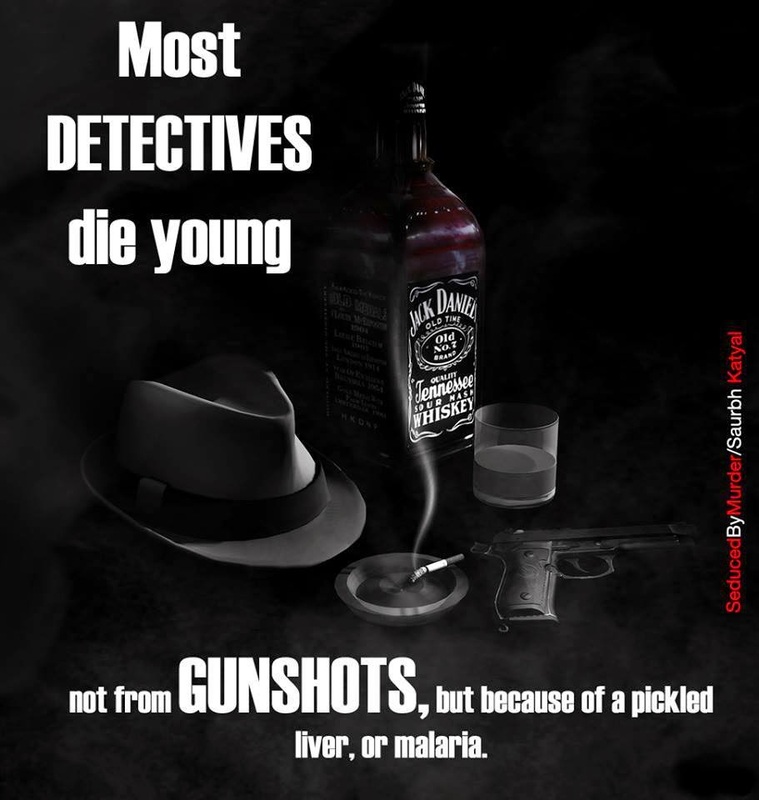 One of my friends stated that there are no good murder mysteries by Indian authors, and that got me thinking how would I write a taut murder mystery in which I could lay clues leading to the identity of the murderer and still keep his identity camouflaged till the last few pages. I am happy to see that by the response so far, I may have been successful in it. TF: What kind of reaction are you getting from the readers, are they liking private detective Vishal Bajaj? Saurbh: Yes they are. In fact, Padma Shri Keki N Daruwalla called it an unputdownable thriller and the book has got some good reviews in a couple of national newspapers. The most enjoyable interaction has been with readers who have connected with me on social platforms or have mailed me saying that they enjoyed reading the book. Most of the readers have found the detective incisive and endearing, and a lot of people have advised me to write a series on him. TF: I really liked the humor in the conversing style of the Vishal, your main protagonist. So are you a witty author or it’s just that Vishal needed to be a witty detective? 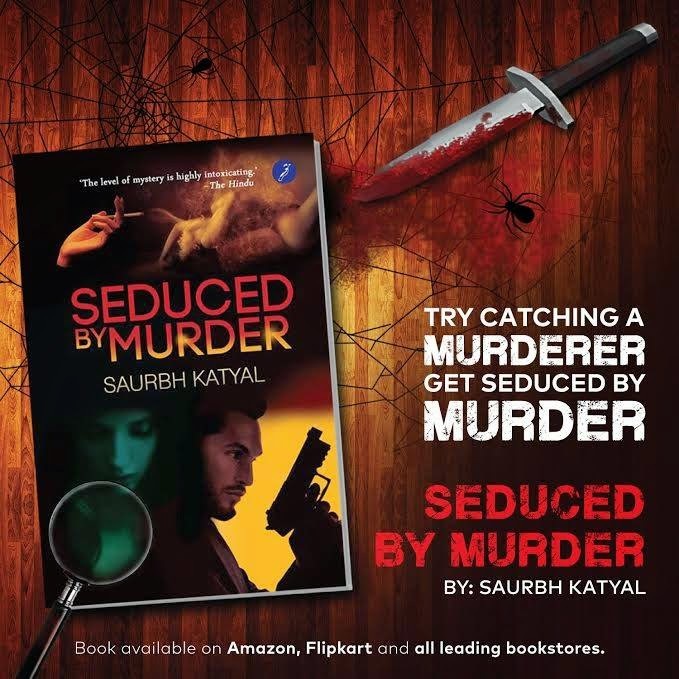 Saurbh: I wanted to write a noir, crime novel where the protagonist is a fatalist; so while the detective Vishal has superb detection skills and is not afraid of getting his hands dirty to get the work done, he is also emotional enough to get affected by buried emotions when his ex-flame is near. However as every fatalist, he has a witty, slightly sarcastic sense of humor and that also becomes evident in his dialog. In fact, most of the readers who were kind enough to connect with me after reading the book were unanimous in liking the sense of humor that Vishal displays in addressing situations. I am glad that you like his sense of humor as well. TF: So, is it possible for this detective of yours returns with another case in form of another book or you will try your hand at some different genre next time? Saurbh: I have got some encouraging reviews, so I have already started working on the next book with Vishal as the protagonist. This will be a locked room, murder mystery. TF: How was your experience working with Blue Jay? Saurbh: I had a great time working with Bluejay. They have thorough professionals in their team and carry rich experience in distribution, so that helps a lot. TF: So now, when you are a published author any tips for the unpublished or aspiring authors? Saurbh: Although it sounds clichéd, from personal experience, I would say just persevere. For aspiring authors, COMPLETE THE NOVEL FIRST. I have interacted with some aspiring authors and I have realized that the biggest thing that is impeding them from completing the novel is this obsession with finding a publisher. Understand that even if the book is good, you may still struggle to find a publisher. That is how publishing works now-a-days. Do not get affected by it, but just focus on writing. Once the novel is completed, the next step is to approach all traditional publishers and send them the script as per their submission guidelines. If that doesn’t work, instead of losing confidence in your writing ability or belittling your own work, take advantage of the technological advances and go for self-publishing. TF: One clichéd question, what is writing for you? Saurbh: Writing is a form of meditation- you can take refuge in your imagination, express yourself and come back refreshed to the real world. I think everyone should write- it can be a blog, a diary or even just doodling on Microsoft word. TF: I am done with boring you, no more questions. All the best for your book. Just few words for your readers and Timid Fingers blog. Saurbh: On the contrary, I found the interaction quite scintillating. Thanks for your wishes.